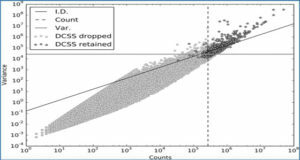 Single cell RNA-seq (scRNA-seq) experiments suffer from a range of characteristic technical biases, such as dropouts (zero or near zero counts) and high variance. 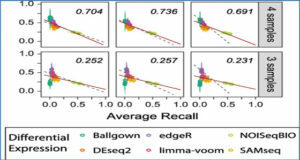 Current analysis methods rely on imputing missing values by various means of local averaging or regression, often amplifying biases inherent in the data. 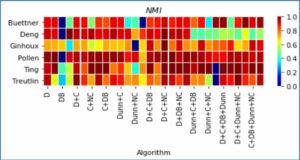 Researchers at the Max Delbrück Center for Molecular Medicine present netSmooth, a network-diffusion based method that uses priors for the covariance structure of gene expression profiles on scRNA-seq experiments in order to smooth expression values. 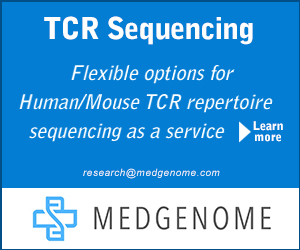 They demonstrate that netSmooth improves clustering results of scRNA-seq experiments from distinct cell populations, time-course experiments, and cancer genomics. 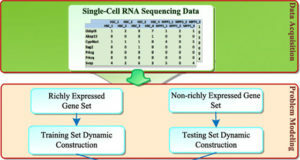 The expression profile of each sample is projected onto the network, where a diffusion process allows genes’ expression values to be smoothed by their neighbors’. This is done for each cell independently of others. 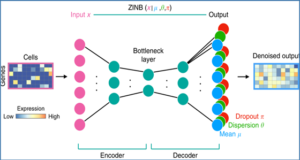 The end result is a network smoothed gene expression matrix. Availability – An R package is available at: https://github.com/BIMSBbioinfo/netSmooth.